To assist with planning for catering and administration for the 2018 National Fly-in, as well as ensuring we cover all event costs, we are requesting members register their attendance and assist with covering events costs via a small event registration fee of $25 per adult and pre-payment of this and dinner tickets to ensure all costs for the event are covered by those attending. Celebrating 80 years of the North American T-6 "Harvard"
As we commemorate 80 years of "The Pilot Maker", we are keen to see as many T-6's on the field as possible and we know there's quite a few owners and operators within our membership. If you own/operate a T-6, please let us know you're attending to ensure we have reserved sufficient parking area. To ensure all costs associated with the event are covered, we are introducing a $25 per adult Event Registration Fee, this will go towards covering costs associated with the event commemorative plaque, bus hire, toilets, marquees and other facilities required for the event and which the Committee felt the fairest method was to recover event costs by those attending rather than using all member's funds. The registration fee will be payable online when you select the REGISTER button above or via the 2018 National Fly-in event page on our website. Another change being introduced this year is the "Welcome Desk" and a change from the traditional registration desk. Volunteers on the Welcome Desk will greet you and provide you with a bus timetable and your souvenir event plaque as well as an opportunity to register your attendance in the event registration book. In order to reduce the workload on our small team of volunteers as well as provide a more consistent and efficient process for all members at the event, we will no longer be processing membership renewals or processing payments for dinner tickets at the event. We are encouraging all members to utilise our online systems for these as this will ensure a smoother and more efficient operation on the day by reducing the workload on the Welcome Desk volunteers. Further information on dinner ticket sales and process is detailed below. You will receive an initial notice of membership renewal via email on the 15th of February with regular reminders after that with details of how to renew your memberships online. Located just 1.5nm south of Echuca township, Echuca Aerodrome boasts a 1100m N/S bitumen strip and a 500m NE/SW grass strip with ample parking for up to 200 aircraft. Check ERSA and NOTAMs for up to date aerodrome details. This year we are encouraging members to remain at the airfield and enjoy the ability to fly until last light. The Echuca Aero Club will be catering a relaxed social dinner on the Friday night as well as having drinks available at the bar. Available on the field between 08:30 and 10:30 catered by the Echuca Aero Club on a pay as you go basis. Available on the field between 12:00 and 13:30 catered by the Echuca Aero Club on a pay as you go basis. The Awards Dinner will again be held at the Moama Bowls Club from 18:30. See the following section for full details on the award presentation dinner and how to purchase your tickets. Echuca Aero Club's monthly roast lunch is famous, as our event coincides with their roast lunch, don't rush off in the morning, stick around and enjoy a great roast lunch with dessert before you head off home. Once you have booked and paid for your dinner tickets, remember to bring your payment receipt with you to the dinner on Saturday night as this will serve as your entry ticket at the dinner venue. We have received much feedback from our members on the seating at the dinner venue, and as such we have decided this year that you will allocated a seat at a table as you arrive at the door. There will be no reserved tables and no holding seats for others, therefore, if you want to sit with a group of people you must arrive at the door at the same time. 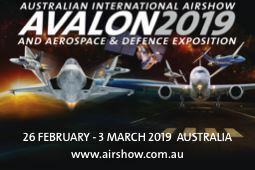 There is plenty of time to catch up with old friends so please enjoy the opportunity to maybe meet new people with whom you share your aviation interest. Friday: 16:00 to 21:00, leaving the airport on the hour. AVGAS will be available on the field via roaming tanker from midday Friday through to midday Sunday. It is highly recommended to refuel on arrival and not wait until the last minute on Sunday.